The Joker's greatest tales from the 1970s are collected in one massive hardcover featuring appearances by Batman, Robin, Catwoman and many more! 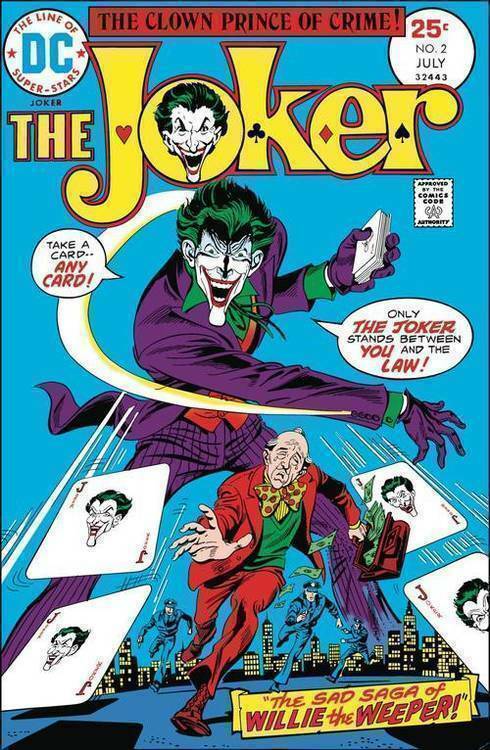 This amazing collection includes the never-before-published The Joker #10! Collects Batman #251, 260, 286, 291-294, 321, 353, 365-366, 400; The Brave and The Bold #111, 118, 129-130, 141, 191; The Joker #1-10, Detective Comics #475-476, 504, 526, 532, Wonder Woman #280-283, DC Comics Presents #41 and 72 and more!